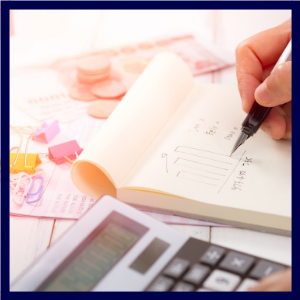 Our accounting professionals have experience working with a variety of companies and will be able to contribute to your accounting department from day one. Companies generally look for professionals with the appropriate accounting or finance degrees, and who possess strong expertise with Microsoft Excel and other technological tools needed to be successful in the accounting field. We take this a step further by placing candidates with experience in similar industries and company sizes. Staff accountants can range from entry-level to general/internal audit and by working with our staffing managers, Search Solution Staffing’s specialized accounting recruiters can find the best fit for your company. We offer several different methods to provide your company with an accounting solution that is right for any situation. Immediate employment needs arise in any business, and if your company needs staff accountants fast, Search Solution Staffing has qualified and dependable accountants to fill those roles. Temporary accountant staffing is available for any client who has an immediate staff accountant need. When you need a staff accountant for an extended amount of time, temporary contract services are a great way to keep consistent personnel for a set duration of time. Whether it be seasonal fluctuations, new projects, employee vacations, reassignments, or maternity leave, temporary contract services will ensure that your company has the resources it needs to succeed without making any permanent hires. Of course, if you would like to extend a permanent offer at any time our team of staffing experts can help you make the transition very smooth. Contract-to-Hire is an ideal way to fill a position quickly while thoroughly vetting the candidate before extending a permanent offer. This method allows our clients to move quickly and still take the time they need to evaluate the needs of the role and the expertise of the candidate before extending a full-time offer.